Slavery in Britain affects thousands of children. And the UK is failing to protect them. There were 2,118 suspected child trafficking victims reported to the UK authorities in 2017, a 66% increase from the year before. British children make up the biggest group of suspected victims, with 677 children from the UK referred to the authorities – a massive 265% spike. 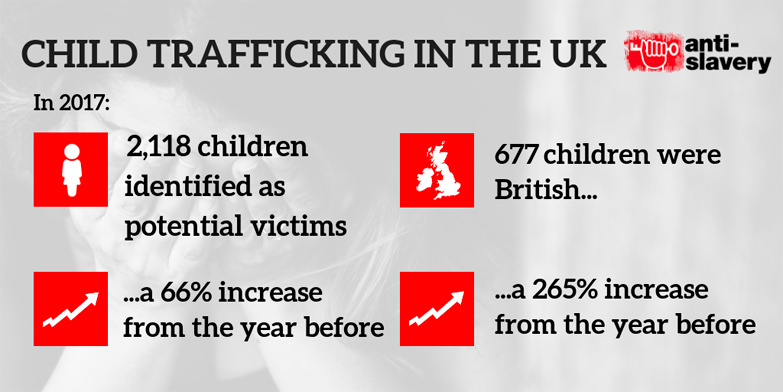 Despite these shocking numbers, the UK government does not have a coherent plan for preventing child trafficking, so many children only receive help once the harm is done and a criminal offence takes place, instead of preventing the offence in the first place. Britain also fails to adequately protect children identified as victims of trafficking or those at high risk, such as unaccompanied migrant children, who go missing from care at an alarmingly high rate, with a high risk of re-trafficking by their exploiters. Please join us on Anti-Slavery Day, 18th October, to end child slavery in the UK. You have the power to change the lives of people affected by slavery in Britain. 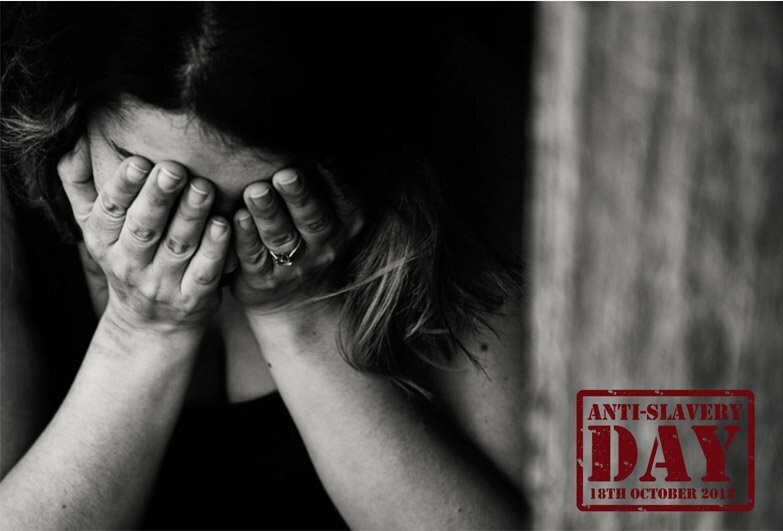 Anti-Slavery Day is a perfect day to tell your MP to support the Modern Slavery Victim Support Bill to ensure proper support for all slavery victims across the UK. Join our campaign. Let’s end slavery together. Become a member of Anti-Slavery International. Why not take on your own unique challenge around Anti-Slavery Day to fundraise to give freedom to people in slavery. This could be anything from remaining silent for the day to a sporting challenge. Be inspired by Anti-Slavery supporter Ben who is dancing from Los Angeles to New York. Visit Fundraise for Freedom for more ideas. Music is a symbol of freedom, so why not organise a concert using our special ‘Songs for Freedom’ resource inspired by music with connections to resistance to slavery. Get in touch to order this resource. Do you and your colleagues want to play a part in ending modern slavery? Visit Fundraise for Freedom for staff fundraising ideas or speak to us about how your company can get involved in giving the gift of freedom. Education is key to ending slavery. This Anti-Slavery Day, we are asking schools around the UK to teach their pupils about children in slavery. Order your free Anti-Slavery International school resource pack which includes a Key Stage 2 lesson plan, a poster and school fundraising ideas. We are here to help you along the way, so please don’t hesitate to contact us to order resources, if you need inspiration or if you have any questions about our life-changing work. Contact Rebecca on 0207 737 9434 or on r.chambers@antislavery.org.